The planet Earth is our shared home with a vast number of other living organisms, so it is humanity’s duty to try to conserve it the best we can. To promote awareness of the necessity of keeping our planet healthy, people around the world celebrate Earth Day annually on April 22. 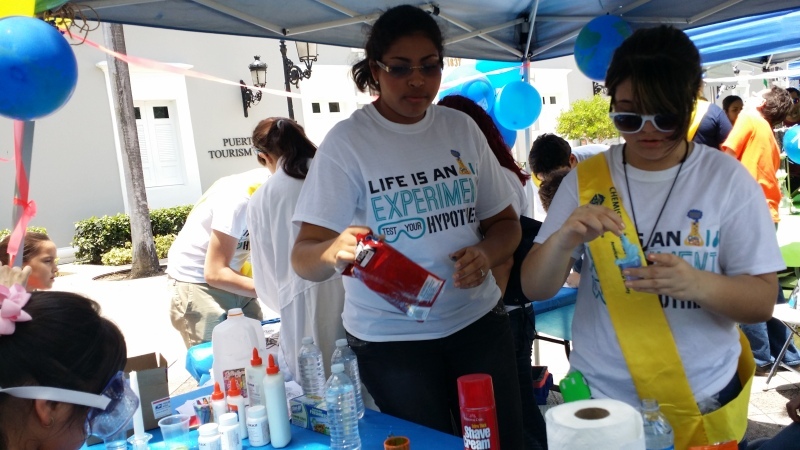 In celebration of this ideal to keep our planet clean, chemists from all around the island of Puerto Rico gathered in El Paseo de La Princesa, in Old San Juan, San Juan, to highlight “The Wonders of Water,” this year’s American Chemical Society (ACS) Chemists Celebrate Earth Day theme. 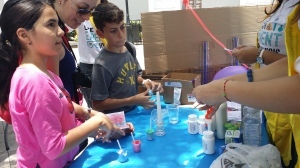 Members of different ACS clubs throughout the island got together and prepared more than 20 tables with exhibits and demonstrations involving the physical and chemical properties of water, as well as explaining the importance it has not only for us humans, but for every other living being on our planet. Natives, tourists, and club members all had the chance to participate. Students from the Specialized School in Science and Math Thomas Armstrong Toro in Ponce couldn’t miss this amazing opportunity. Ten students from the school’s ChemClub set up and helped at the school’s table, explaining the experiments and demonstrations. The explanations were fitted to the audience, from explaining to children how water and oil “don’t get along” to discussing cohesion and adhesion with advanced participants. It was also imperative that the students spoke both English and Spanish, allowing them to communicate efficiently with not only the natives, but tourists from other countries as well. 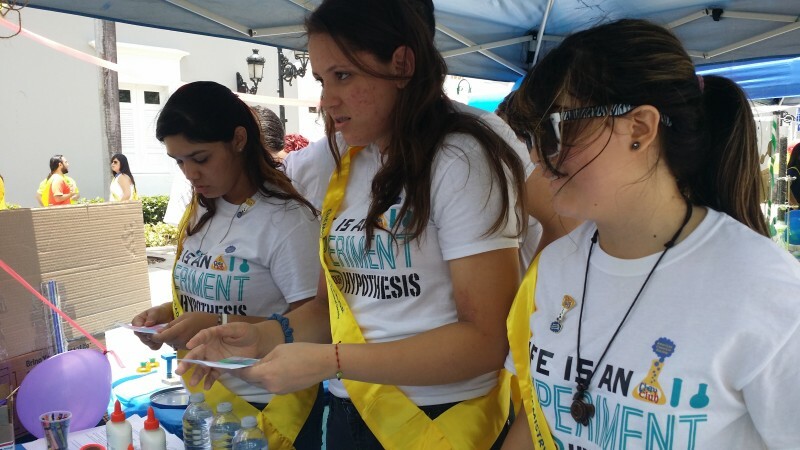 Participants were urged to attempt to float a paper clip in a cup of water. A few were able to achieve this. Here a student explained how best to do it, as well as how the liquid is able to keep the paper clip afloat. Oil and water were put in a clear glass and food coloring was added. After this, an Alka-Seltzer tablet was placed in it. In the water, the tablet reacted to produce carbon dioxide gas. Bubbles of carbon dioxide gas carried droplets of water upward through the oil, producing an effect like a lava lamp. Children were urged to take home a small test tube with the mix with their parents’ permission. A version of this activity is online at Lava Lamp. The procedure was to mix water with magnesium sulfate in a water bottle, leave another water bottle full of water intact, and then add dishwashing soap to both. 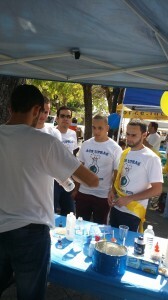 The participants were asked if, after shaking the bottles vigorously, they knew which water was the hard water. Many noticed how the softer water had much more bubbles than the hard one. The conservation of planet Earth should be one of the most important things on our agenda these days, as each day pollution worsens the situation for everyone. We all have to remember that our one little drop of water can make an enormous difference in a sea of people, and we can all contribute to a better world, one way or another.